The United States of America’s smallest state may be about to take a giant step towards standing out in the national gambling industry. Sports betting could very well be on its way to the shores of Rhode Island as the Ocean State looks to keep pace with other Northeastern neighbors. The Supreme Court of the United States sent shockwaves around the world back in May when it decided a case in favor of the state of New Jersey in a lawsuit against the NCAA. The decision struck down PASPA, a federal ban on sports betting established in 1992, and thus made the power to allow and regulate sports betting a state right. 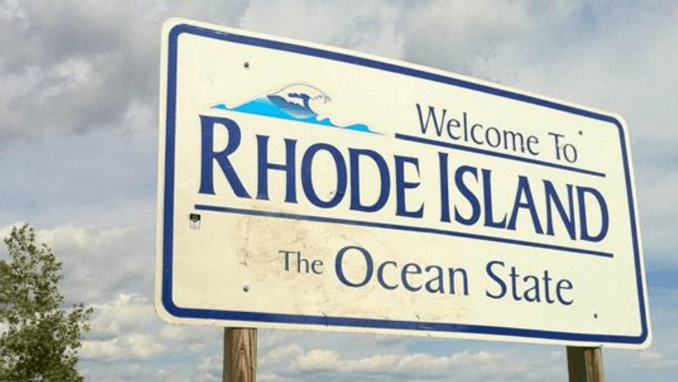 The Rhode Island House of Representative has been working tirelessly with a proposed budget that would open the way for sports betting in the state and allow it to join the ranks of New Jersey and Delaware as sports betting providers. Sports gambling has reportedly been part of budgetary deliberations for a substantial amount of the past year and many didn’t know if it would make it all the way through the final process. That appears to be the case, however, as the sports betting budget was passed late last week and will now face approval by the state senate in order to be passed on to the governor for final approval to become law. According to the passed legislation, sports betting would be allowed at Twin River casinos in Lincoln and Tiverton, but mobile wagering appears to have been left off. Limiting the options to in-person would likely be agreeable enough to increase chances of passage now, but mobile betting would surely be something to pursue in the future. The town of Lincoln shall be paid an annual flat fee of one hundred thousand dollars 15 ($100,000) and the town of Tiverton shall be paid an annual flat fee of one hundred thousand dollars 16 ($100,000) in compensation for serving as the host communities for sports wagering. There is no mention of integrity fees that have been asked for by American professional sports leagues which makes sense due to the fact that Rhode Island has no major professional sports franchises. That can be added to the fact that the validity of sports leagues' claim to intellectual property is still up for debate. There’s no denying that at $9.6 billion the new budget is a hefty one, especially for a state that’s only 3,104 kilometers and even heftier than year’s past. Sports betting could very well be an expenditure that ends up paying the state back big money. The potential of being one of the first states to offer it would likely do Rhode Island a lot of good in terms of booting its entertainment and tourism industries at least in the short run. In the long run sports betting makes perfect sense for Rhode Island due to its desire to not get left behind in the race to allow sports betting with New York currently working on legislation and New Jersey and Delaware already offering it New Jersey and Delaware already offering it. Staying competitive is likely exactly what Rhode Island would do as the novelty and newness of sports betting would no doubt attract a diverse crowd of customers and players to the state.